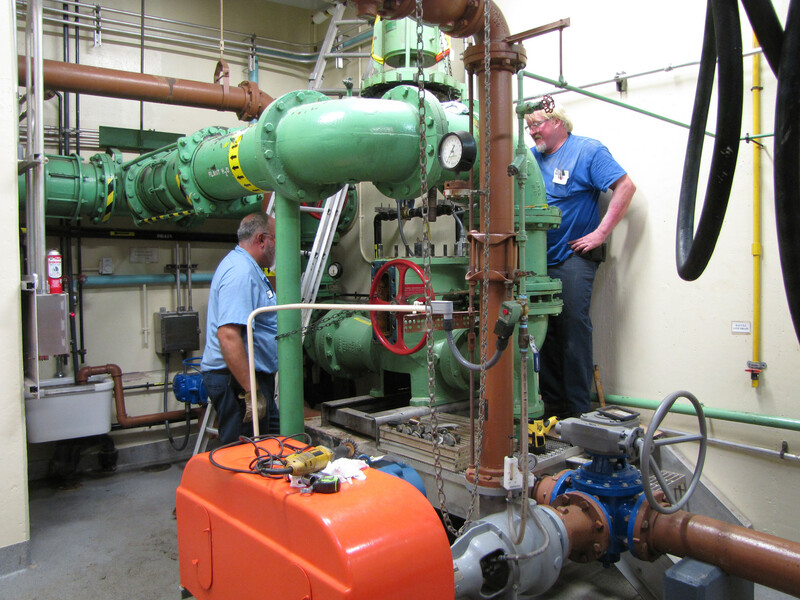 The Maintenance division has 5 employees who work out of the Clearwater Road Wastewater Treatment Facility. The division maintains 14 pump stations as well as the treatment equipment at the Clearwater Road Wastewater Treatment Facility and the Southwest Wastewater Treatment Facility. All totaled; there is over 1,000 pieces of rotating equipment. The maintenance division is also responsible for maintaining a fleet of 18 vehicles and 4 trailers. Specialized equipment in the fabrication shop includes a plasma cutter, and TIG and MIG welders. Other equipment includes a band saw, drill press, parts washer, and ultrasonic cleaner.